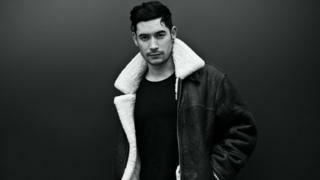 London-born Dax J, was charged with public indecency and offending public morality - but had already fled the country before the court case. He had also issued an apology. The nightclub was shut down after footage of the weekend's event was shared on social media and sparked outrage. The event was part of Orbit Festival in Nabeul in the country's north-east. "We will not allow attacks against religious feelings and the sacred," the governor of Nabeul, Mnaouar Ouertani, said when the club was shut down. The DJ "did not realise it might offend an audience from a Muslim country like ours," they said in the post (in French). Dax J has offered his "sincere apologies to anyone who may have been offended by music that I played at Orbit Festival in Tunisia on Friday". "It was never my intention to upset or cause offence to anybody," he said. Dax J has performed at festivals and nightclubs around the world including techno festival Awakenings in Holland and the UK's Glastonbury. He runs a studio in Berlin, where he also works as a sound and mastering engineer, according to his management company.